Keeping You On the Road, and In the Lead! Nissans are one of America’s most performance driven imports. It drives like a high-end sports car, and rivals any vehicle make with its style and sophistication. Precision Auto likes to work on all models of Nissan, but we love seeing them on the road and at optimal performance. Our goal is always to prevent performance malfunctions before they compromise your driving experiences. Stay on schedule and early for every appointment by adhering to an appropriate service plan. We consider your vehicle’s age, your driving habits, and the manufacturer’s recommendations when developing a service schedule. Oil changes are the most vital service to your Nissan’s engine. Preserve the powerful engine performance that your Nissan came with. Our team handles every Nissan service from routine oil changes to complex transmission repairs and replacements. Pay attention to all your Nissan’s warning signs and act fast! Delaying service can cause extensive damages to your vehicle’s components. The sooner our techs get their trained eyes, ears, and hands on your Nissan, the sooner we can have you back on the road. Precision Auto makes sure you get the most out of your Nissan! Preventative maintenance services make sure you avoid problems. Repairs and breakdowns seem to come out of nowhere, and are hard to predict. But we do you one better by keeping repair needs non-existent. It’s actually possible at Precision Auto in Germantown, MD to perform quality Nissan services that eliminate the need for costly repairs. Nissan Repairs You Can Trust! If you ever have the need for Nissan repairs, there’s no better facility in Germantown for you. Precision Auto takes the time to get to know you and your vehicle. When you come to us, hopefully it’s not the first time you have visited our experts. But there’s no time like the present for quality engine, transmission, braking system, exhaust system, air conditioning, tires services, check engine light repairs, and much more. Trust our expertise, and your Nissan will thank you with enhanced driving experiences. We take your Nissan to peak performance and keep it there for as long as you drive it. Schedule Your Nissan Services Today! Our experts are well-trained and experienced at all Nissan services. It take the experts at Nissan repairs in Germantown, MD to take the best care of your vehicle. Precision Auto is the preferred option because we treat your Nissan like it was our own. 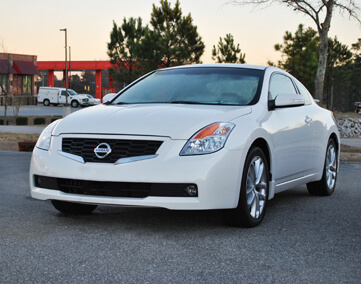 We take pride in hearing your Nissan’s engine hum and accelerate for another 100,000 miles. Give us a call today at 301-917-2682 to schedule your next Nissan service appointment. Save time by using our convenient online scheduling system right now!